Drew practices with the firm's Energy and Telecommunications Practice Group from the Augusta, Maine office. He brings a broad background in energy and utility law and corporate law to Preti Flaherty. Drew previously engaged in private practice in Bangor and prior to that served as General Counsel to Bangor Hydro-Electric Company for many years. 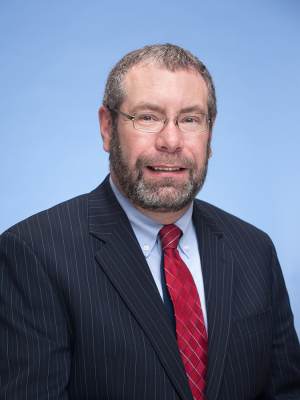 He has extensive experience representing utility clients on regulatory issues before administrative and regulatory agencies, such as the Maine Public Utilities Commission and the Federal Energy Regulatory Commission (FERC). He has also represented numerous entities in connection with the development, financing or acquisition of renewable energy projects, including lenders, purchasers and utilities. He has successfully negotiated regulatory approval for a number of industrial interruptible load contracts, including a 25 megawatt contract that was one of the first interruptible loads recognized as a supply resource by the New England Power Pool. Drew has helped to pioneer utility-managed energy efficiency and demand response programs in the late 1980's, designing and winning regulatory approval for tariffs relating to load shifting, motor and lighting rebate, customer audit, and interruptible rate programs. He has also maintained a practice concentrated in corporate transactions, commercial finance, securities law and mergers and acquisitions.